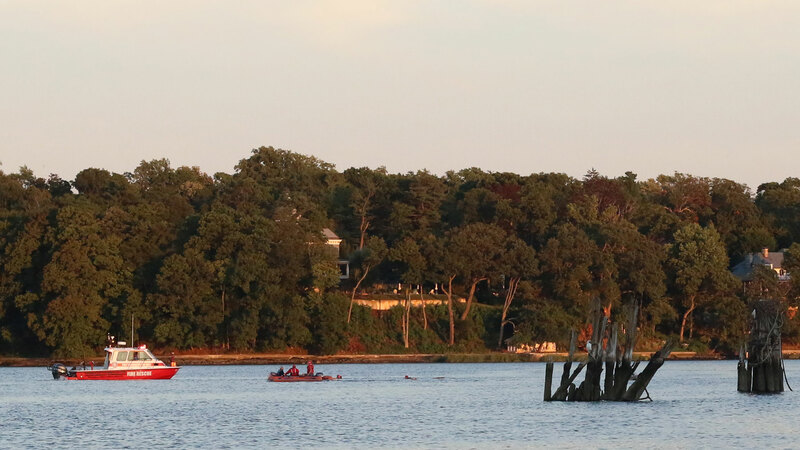 The Port Washington Fire Department conducted a marine focused drill on Thursday August 27th, 2015. Members from all four companies practiced on a variety of skills and equipment relevant to marine operations. 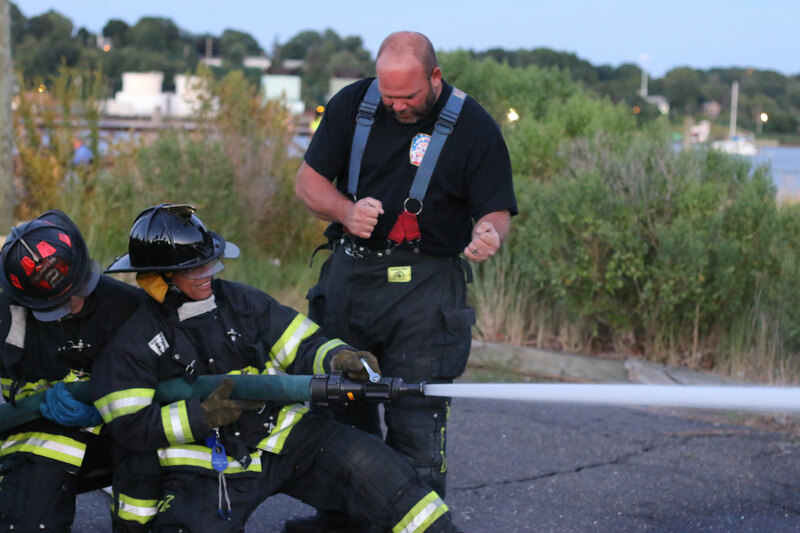 All firefighters had the opportunity to practice using portable pumps to draft water from Hempstead Bay and flow water through handheld attack lines. 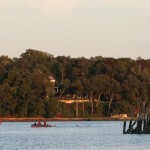 85M1, the PWFD’s fire boat, and smaller inflatable boats were deployed in the bay to rescue a simulated overturned boat. PWFD rescue swimmers trained in rescuing victims from the water.